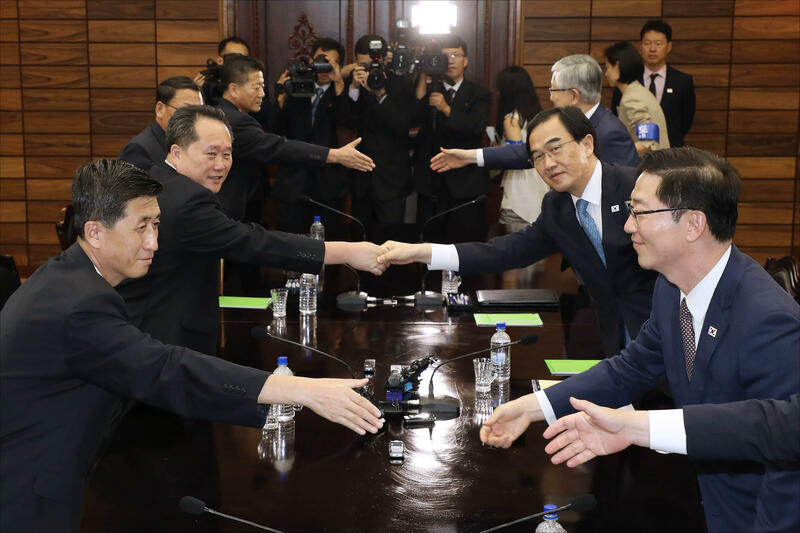 SEOUL, South Korea -- The rival Koreas announced Monday that North Korean leader Kim Jong Un and South Korean President Moon Jae-in will meet in Pyongyang sometime in September, while their envoys also discussed Pyongyang's nuclear disarmament efforts and international sanctions. The push for what would be the leaders' third summit since April comes amid renewed worries surrounding a nuclear standoff between Washington and Pyongyang. While the U.S. has backed the two Koreas' bilateral negotiations, the Trump administration has remained adamant that an official declaration that the Korea War is over -- something the Kim regime wants -- can only be negotiated as North Korea dismantles its nuclear program. "We are in close contact with the Republic of Korea about our unified response to North Korea, a U.S. State Department spokesperson told CBS News' Kylie Atwood on Monday. "As President Moon stated, 'the improvement of relations between North and South Korea cannot advance separately from resolving North Korea's nuclear program.'"